One of the significant case study for IOT is the case of connected cars. Within the last one year, I have personally seen new models projecting and promoting connected capabilities. The car of future will be able to stream data simultaneously to car manufacturer head office for vital stats that would remind owner of maintenance needs, insurance companies for safety, speed, position and reducing insurance costs and also at the same time become a wifi for the passengers. It will also present to the city and traffic planners to manage rush hour traffic. And so on….. Some of the use cases include dashboard interfaces for accessing and writing email to those that will google based on voice command. We have also heard several big giants venturing into driverless cars. And as customers’ expectations for these features grow—along with their willingness to pay—so will the value pool that’s being created. The big question is how what will be the business model and will passengers be willing to pay more for the connected cars. And also what are the opportunities with this change. A recent McKinsey consumer survey on connectivity and autonomous driving was conducted in July and August 2015, covering 3,184 recent car customers in Germany (1,123 respondents), the United States (1,051 respondents), and China (1,010 respondents). It examined preferences for car purchases, interest in data-based services, privacy behaviour and concerns, and views on autonomous vehicles. In just the past year, the number of customers declaring they are willing to switch brands for better connectivity features has almost doubled, to 37 percent. Nearly a third of customers are now willing to pay for connected services in a subscription-based model, up from 21 percent a year ago (exhibit). Perhaps surprisingly, only 25 percent of consumers categorically refuse to let automakers potentially use their position data for connectivity services. And not all customers are created equal: attitudes about connectivity features and their associated issues—especially data privacy—differ significantly by age, market, and brand preference, as well as by country. The world’s second biggest economy and upcoming customers in China, for example, are particularly enthusiastic about connected cars; 60 percent of respondents there are willing to switch their car brand for improved connectivity services. So how can the industry both understand this changing environment and capitalize on the growing appetite for car connectivity? 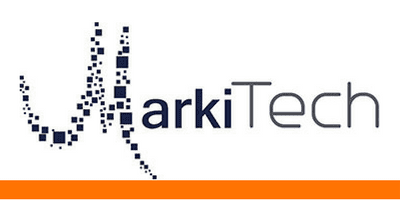 Connect with us at MarkiTech (info@markitech.ca) and we can discuss these case studies and business models in more detail. For all players—incumbents and newcomers alike—the first step is to recognize that the landscape is evolving quickly and there could be several opportunities to reap from. Connectivity and autonomous-driving functionalities are creating a multitude of new business models and monetization opportunities, especially as consumers prioritize driving-related applications, such as connected navigation and networked parking, above those unrelated to driving, such as email and music streaming. Capturing these opportunities requires scale, speed, and agility—and that likely means today’s world of competing original-equipment manufacturers (OEMs) will evolve. To provide the connectivity consumers are increasingly demanding, we believe OEMs will need to collaborate in a common ecosystem, for instance, by adopting a communication protocol to share real-time information such as road, weather, and traffic conditions gathered from sensors on their connected cars. Such cooperation would allow OEMs to reach sufficient scale to reap benefits from network effects but still allow them to keep brand-specific differentiating factors in their quest for customers.